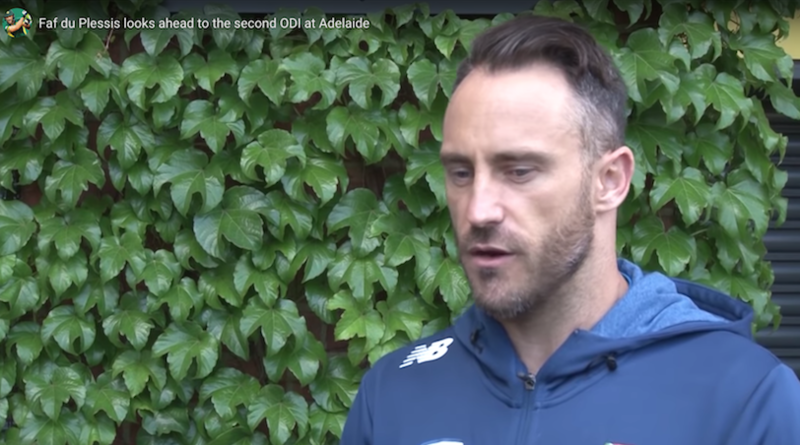 Proteas captain Faf du Plessis has asked for a more clinical performance from his players in the second ODI against Australia taking place at the Adelaide Oval on Friday. The bowlers were almost faultless in the opening match in Perth to dismiss the home team for 152 in 38.1 overs, and it is with the bat that Du Plessis has asked for more ruthlessness. It is often said to never change a winning combination, but the captain admits the limited opportunities in a three-match series could warrant a few tweaks to scout as many players as possible. All-rounders Chris Morris and Dwaine Pretorius are options, while left-arm wrist-spinner Tabraiz Shamsi is also a look-in for the potentially slow drop-in pitch conditions. ‘It was a great start for us,’ said Du Plessis when speaking to the media at the Adelaide Oval on Thursday. ‘I would have liked us to be more clinical in making sure we won that game with eight or nine wickets in the shed after the great start we had with the bat. They bowled well and there was assistance in the pitch. The Adelaide Oval holds many fond memories for Du Plessis, memories that have shaped him into the leader and cricketer he is today. They scale from the high of a determined Test century on debut in 2012, to overcoming the toughest week of his career with a resilient century in challenging circumstances during the 2016 ball-tampering case. ‘I love coming to Adelaide,’ he said. ‘This ground is probably my favourite in the world when it comes to playing cricket. 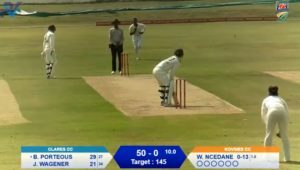 I have some extremely good memories – Adelaide and Newlands are my two favourite grounds. ‘It was a great debut for me,’ he said of his 2012 entry. ‘The next time I came back there was a big buildup to that Test match with “mintgate”. That was a different way of handling pressure, there were a lot of eyes on me during that buildup, it was my character that was tested throughout that week. Getting through that, personally, was great for me, it showed the resilience of my character, that was good to learn about my own personality. The second ODI is a day-night match that will start at 1:50pm local time (5:20am CAT) and will be broadcast live on SuperSport 2.